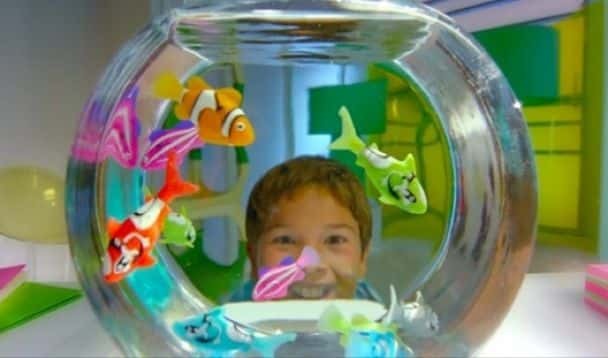 The fastest-selling toy globally this year is the Robo Fish, with 15 million sold so far, and manufacturers Zuru are having to produce 70,000 of the little swimmers every day to keep up with demand. 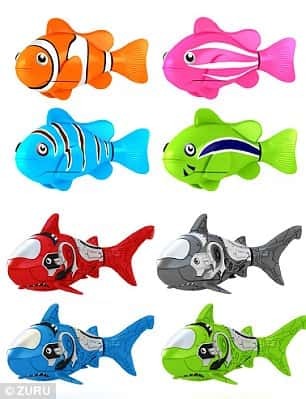 The brightly coloured aquatic robot toys spring to life and swim around realistically as soon as they are dropped into water, and deactivate as soon as they are removed and dried off, ready for their next paddle - VIDEO. 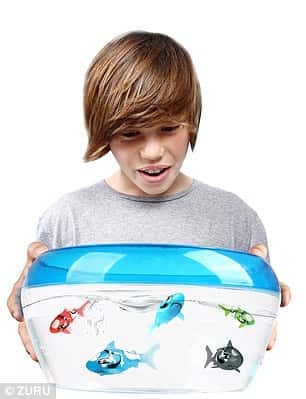 The fish has been a top five-selling toy in over 40 countries and has won multiple awards, including a coveted place on this year's Dream Toys list. And in some places it's being used as more than just a toy. Some swimming instructors are helping their young pupils learn to swim with the help of the robotic fish, in order to help introduce them to the world of swimming. 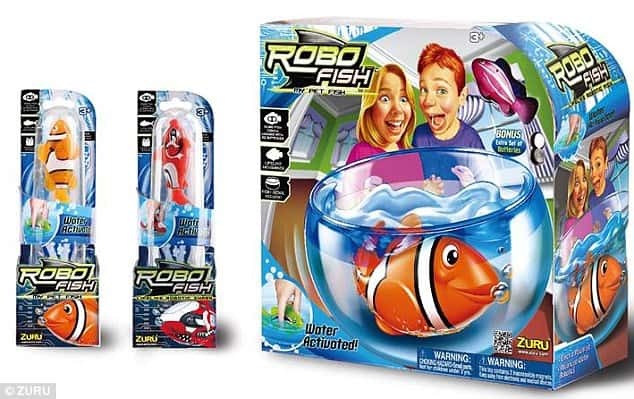 Named as one of this year's Dream Toys by the Toy Retailers' Association, Robo Fish mimics the motion and characteristics of real fish when dropped into water. Developed by Hong Kong based company Zuru using the newest in aquatic robotic technology, they automatically activate when placed in water using carbon sensors. 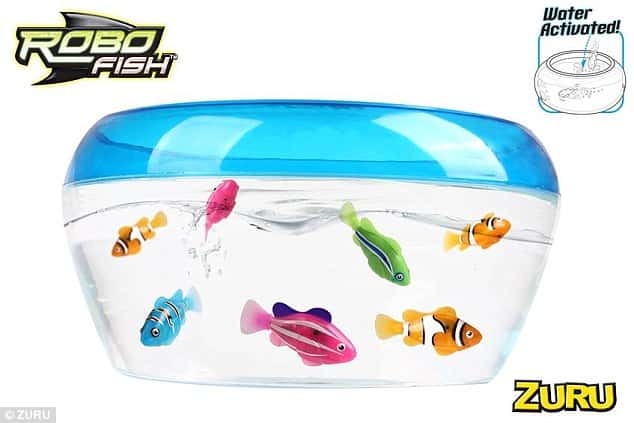 You can find and BUY this amazing toy by ZURU at AMAZON!